Low rolling resistance tires are popular among vehicle owners hoping to save some money on fuel expenses. However, these tires have their downsides, too. Read on for all you need to know about the advantages and disadvantages of these tires, as well as some more fuel-saving tips to reduce gas costs and keep your tires and vehicle safe. What exactly are low rolling resistance tires? Tire resistance is defined as the force resisting motion exerted on a tire as it rolls across a surface. When resistance is greater, then the vehicle expends more energy, which requires more fuel. According to the Alternative Fuels Data Center of the U.S. Department of Energy, rolling resistance is a major gas hog and accounts for between 5 and 15 percent of fuel consumption for most passenger cars. Low rolling resistance tires, though, are designed to decrease rolling effort, minimizing wasted energy and increasing fuel efficiency. So why would low rolling resistance tires be a bad thing? There’s little doubt that a true rolling resistance tire can save a vehicle owner money in fuel costs. However, rolling resistance has some pretty big downsides, too. First of all, these tires are typically more expensive than regular tires. And a tire manufacturer may advertise tires as being low rolling resistance tires – perhaps even specifying the amount of fuel costs that will be saved – when the tire is actually just an upgraded model of an older, traditional tire. The other big downside to rolling resistance tires is more serious: less resistance may equal lower fuel costs, but also less tire traction. As a result, a vehicle may require a greater stopping distance than other tires and may experience decreased traction on wet or slippery surfaces. There are ways to maximize your vehicle’s fuel efficiency without purchasing low rolling resistance tires. 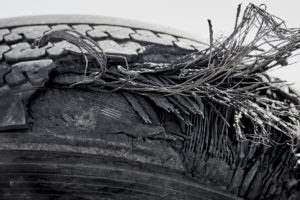 According to a February 2014 article on the Consumer Reports website, keeping tires properly inflated to recommended levels, checking tire pressure regularly when the tires are cool, and replacing old tires with highly rated tires may help the car reach optimal tire performance and could have fuel-saving advantages. The article recommends checking Consumer Reports’ tire ratings. You can increase fuel economy by using cruise control when appropriate, cleaning out your trunk, removing heavy objects from the vehicle and driving the speed limit. Further, accelerating more gradually can help reduce fuel costs –you’ll use less fuel by accelerating slowly than if you accelerate quickly to reach your desired speed. If a tire is defective, all the maintenance in the world may not protect you from an accident. If you’ve been in an accident that you believe was caused by a defective tire, secure the help of the defective tire attorneys at Chalik & Chalik. We have offices around the state of Florida, so if you have questions, call us today at 855-529-0269 or use our online contact form.